July | 2009 | My name is Kervie and I'm not here to make sense. 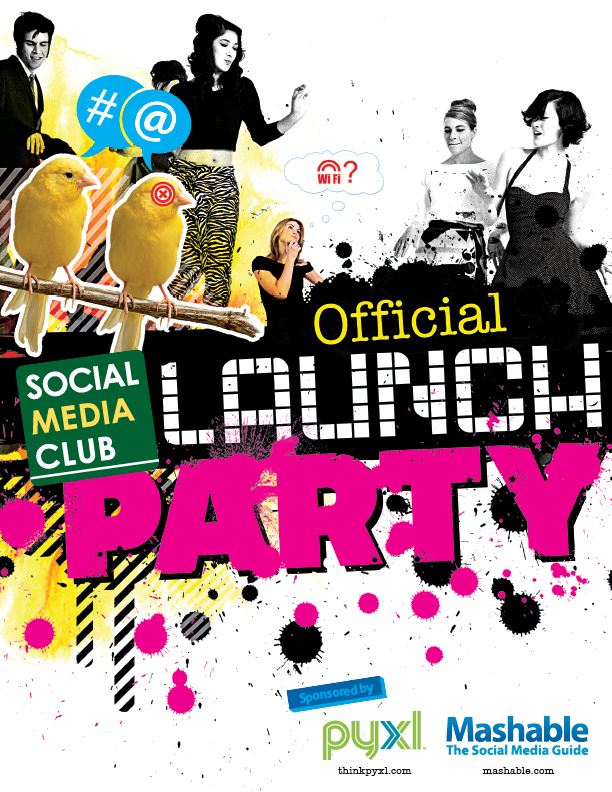 You (people from Knoxville or surrounding areas) are invited to the SMC Knoxville Launch Party on Tuesday, July 21st. I decided to take the low budget promotion a littler further by making an poster filled with random selection of imagery that still reflect our thoughts on social media. You can find out more details at the SMC Knoxville site. And of course this public message was brought to you by yours truly, Pyxl and the people at Mashable. Once again our company logo is featured on a great logo resource site at logopond.com. Thanks to everyone for their positive responses and feedback. We’re working hard at Pyxl to launch our new website soon so for the meantime you can visit us at thinkpyxl.com.